It's been the best part of twenty years now since Nightwish first broke, twenty years in which a sound that, at the time, seemed to be rather obtuse and quirky has developed into a full blown phenomenon! Yes, whatever your thoughts on the whole Female-Fronted Gothic/Symphonic Metal movement, there's no denying that it has grown and expanded immeasurably over the past two decades and shows little sign of not continuing to do so. The downside of course, as with anything that gains meaningful traction, is that it's becoming increasingly difficult for new players to distinguish themselves from their contemporaries, the search for an elusive edge to give you that one vital advantage becomes ever more challenging. 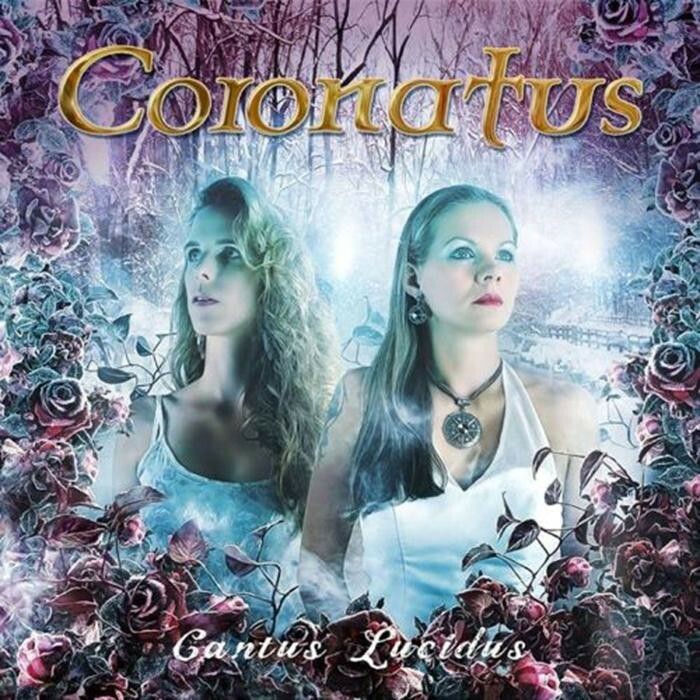 Making full use of not one but two female vocalists as well as composing songs with lyrics in English, Latin and their native German, Coronatus seem to be one of a select bunch who've found that edge. Formed as long ago as 1999 by drummer Mats Kurth, Coronatus have thus far released five albums of ever more sumptuous Symphonic Metal, the last – 2013's 'Recreatio Carminis' – marking a welcome return for classically-trained Soprano Carmen Lorch. The reception afforded '...Carminis' upon its release was almost universally positive, so in a bid to capitalise on that positivity, the band have been hard at work for most of the past year crafting a worthy follow up. Opulent, diverse and atmospheric are three adjectives that spring readily to mind as you wrestle with the expertly interwoven complexities of latest opus 'Cantus Lucidus'; their fusion of Gothic/Symphonic Metal, Neo-Classically-infused melodies, Operatic hooks and the odd dollop of Folk is somewhat perplexing... yet at the same time engaging. This is (perhaps) the closest you'll get to the essence of the original Nightwish sound (helped in no small part by the aforementioned Soprano of Lorch) albeit juxtaposed with plenty of fresh elements. With tracks like the bombastic 'The Elvenwell I Can Give You...' or mood driven 'Deborah', Coronatus paint an intense sonic picture which conjures up vibrant images of an epic land even the creators of 'Game Of Thrones' would be proud of!